Dave Greenberg is a tax attorney with Betts Patterson & Mines focusing primarily on estate planning and business transactional matters. As an estate planner, Dave works with individuals and families of all sizes to meet their estate planning needs. He assists young professionals and business owners in creating their first estate plans. He also works with those individuals and families with more established estates who are looking to preserve and pass wealth to the next generations. More established estates often involve business succession planning, gifting programs, and other lifetime transfers. Each plan is unique and must be tailored to the particular needs of each client. Dave works with his clients to minimize the tax consequences of any estate plan while ensuring his clients’ non-tax goals are met. Dave has experience preparing wills, trusts, powers of attorney, buy-sell agreements, and other related documents for clients of all types. Dave is also involved in the firm’s estate and trust administration practice, which advises individuals and entities acting as trustees or executors. When representing businesses, Dave advises clients on both corporate and tax matters. He has experience representing buyers and sellers in mergers and acquisitions. He frequently advises clients on entity selection and other aspects of business formation. By combining tax advice and general corporate advice, Dave is able to provide comprehensive representation to his business clients. 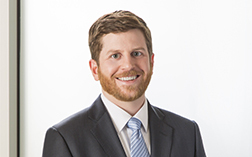 Dave provides legal services to corporations, LLCs, and partnerships of all sizes. Author, Neglected Formalities in the Mortgage Assignment Process and the Resulting Effects on Residential Foreclosures, 83 TEMPLE L. REV. 253 (2010).